It looks like LG and Cricket Wireless are about to launch a new smartphone, the LG Optimus Regard, which according to Cricketusers is Cricket’s first 4G LTE smartphone. The following photo was posted to Twitter by @eveaks, and the device is rumored to feature a display with a resolution of 320 x 480 pixels and will come with a 1.5GHz processor. 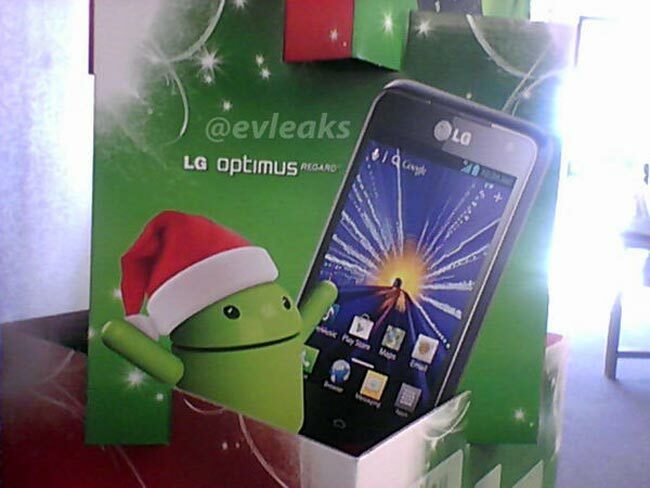 Other specifications on the LG Optimus Regard, include a 5 megapixel camera which is capable of Full HD video in 1080p and it will apparently come with Android 4.0.4 ice Cream Sandwich. There are no details as yet on when the LG Optimus Regard will be available on Cricket Wireles, and also no details on how much it will retail for as soon as we get some more information we will let you guys know.